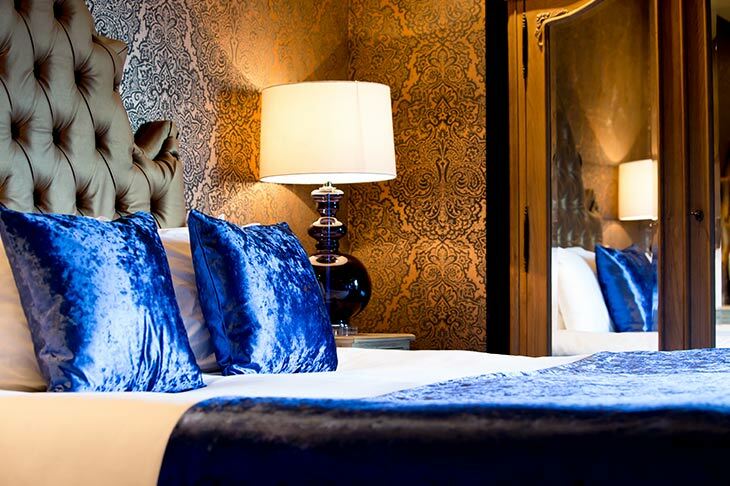 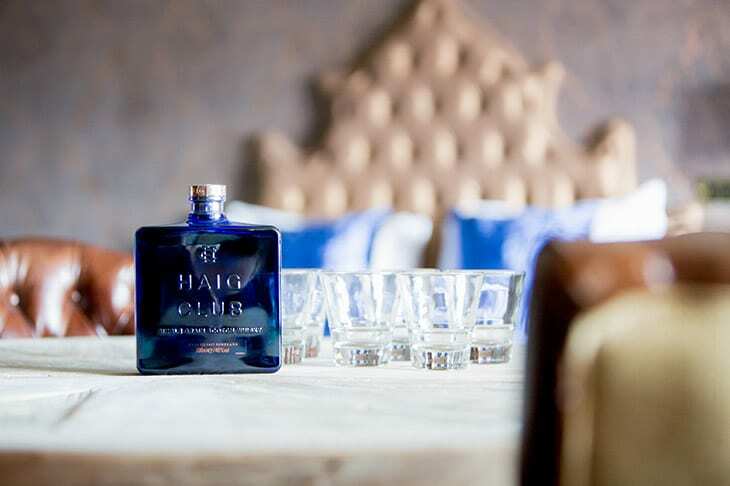 The pinnacle of high-quality heritage, style and taste in the Haig suite. 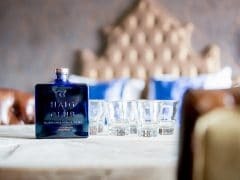 Taking inspiration from the iconic Haig Club whisky, this suite offers guests the opportunity to relax within luxury surroundings. 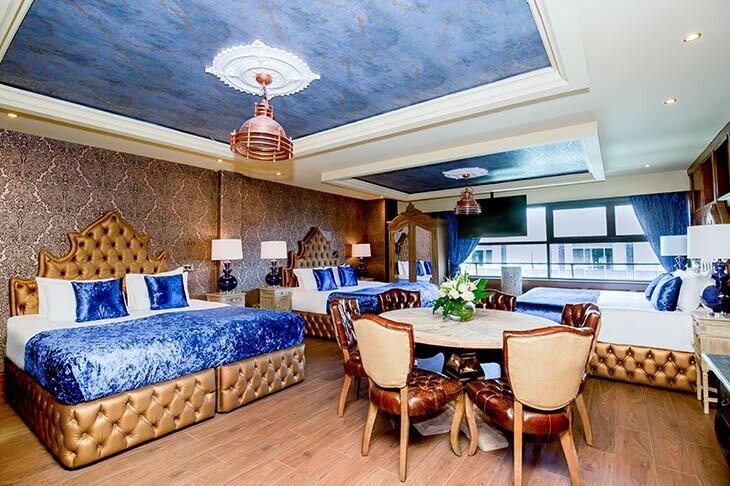 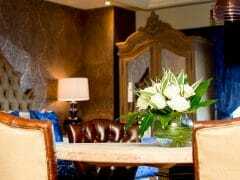 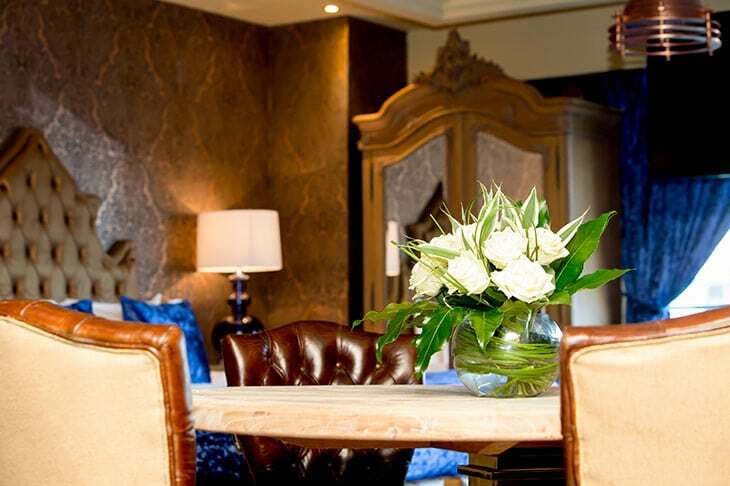 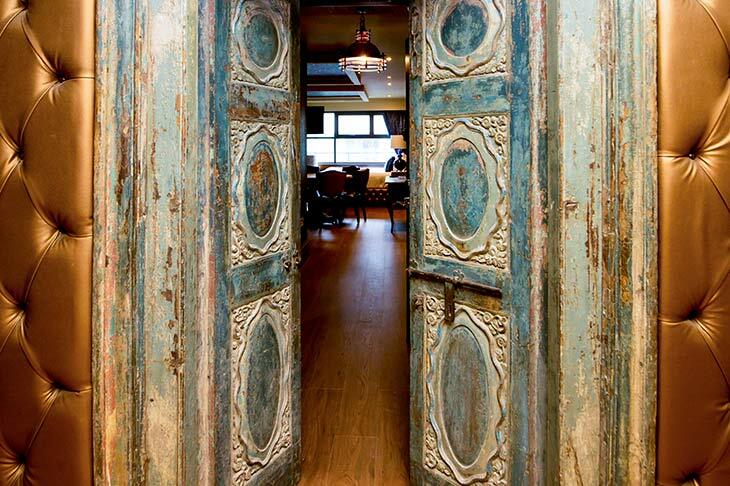 The plush décor echoes the grandeur of the rich and royal blues of Haig with opulent space for socialising and relaxing. 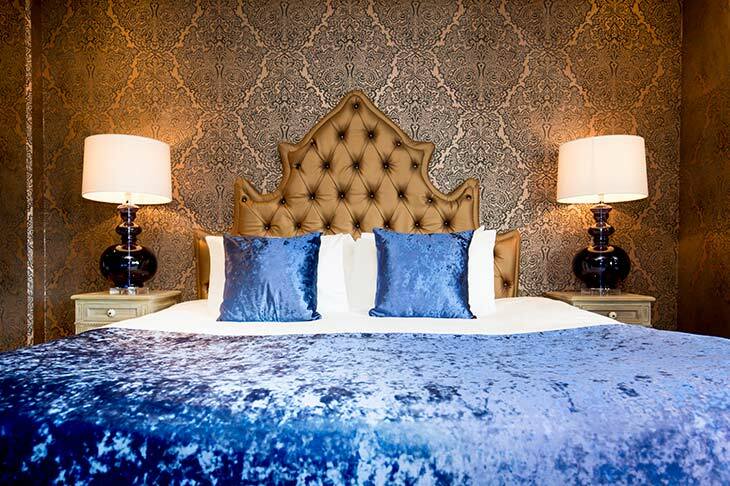 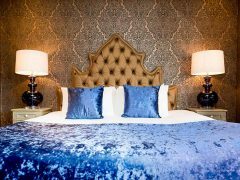 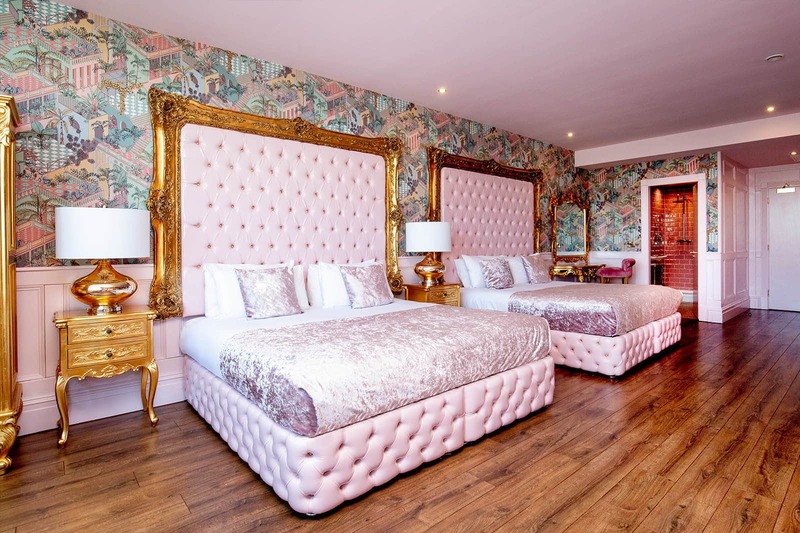 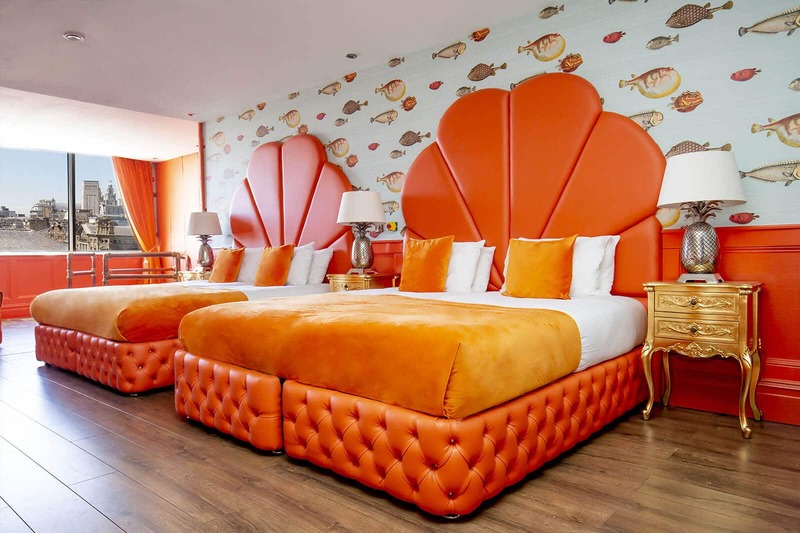 The Haig suite is perfect for large groups looking for a stay with a difference in Liverpool, with room for up to 7 guests in three luxury double beds and one single bed. 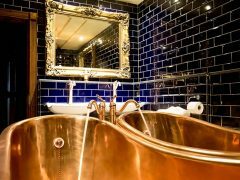 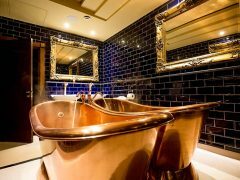 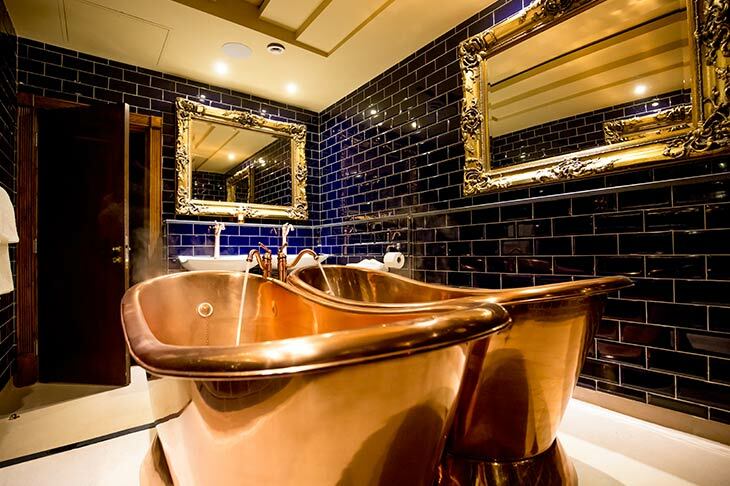 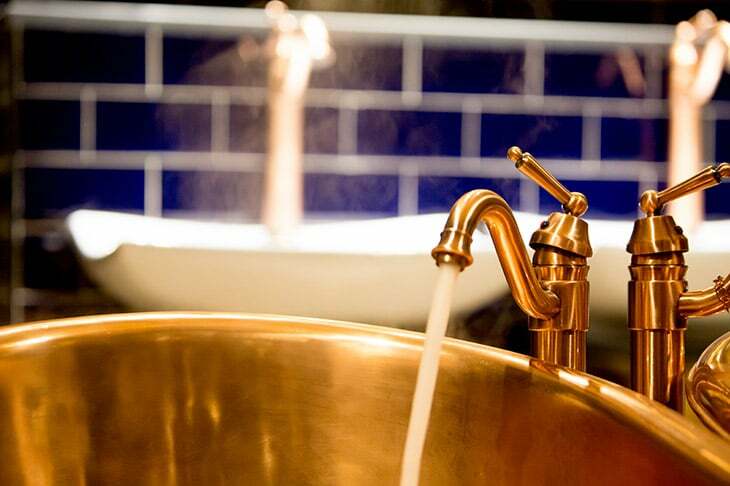 The unique suite further features amazing amenities such as functional kitchenette, double vanity and two free-standing copper baths for the ultimate indulgent stay. 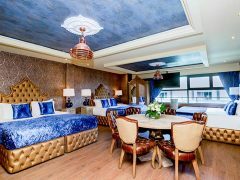 Located within The Shankly Hotel, guests can enjoy on-site amenities including The Bastion Bar & Restaurant, secure underground parking and The Shankly Museum, where never before seen Shankly memorabilia is displayed. 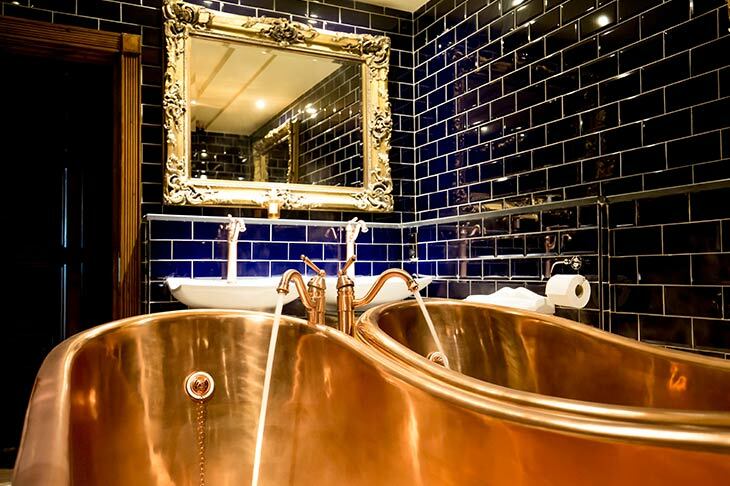 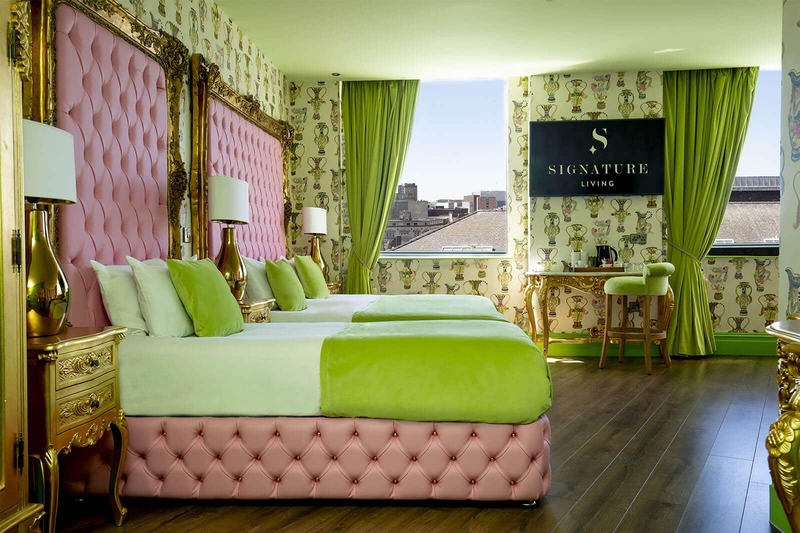 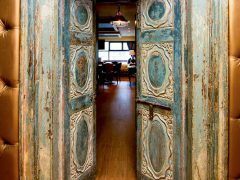 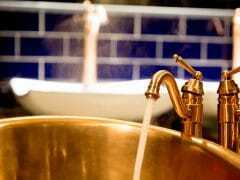 The Shankly Hotel is situated in the heart of Liverpool’s city centre and is just a few moments from Liverpool’s vibrant nightlife offering, a short walk to the city’s shopping areas and on the doorstep of some amazing cultural landmarks and attractions. 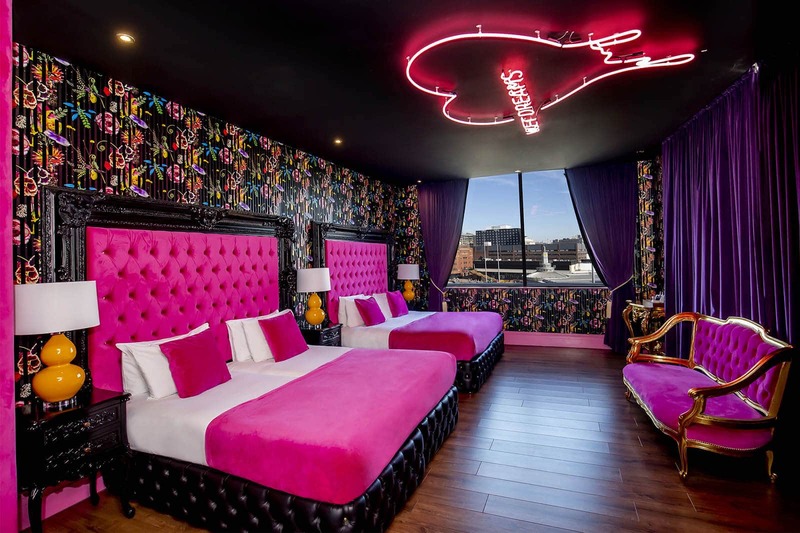 The hotel is furthermore less than a 5-minute walk from Liverpool Lime St station and 30 minutes from Liverpool John Lennon International airport. 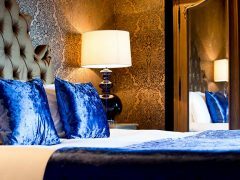 Staying in the Haig suite will ensure that you’re never too far from all of the action meaning you can explore all Liverpool has to offer without spending too much time travelling. 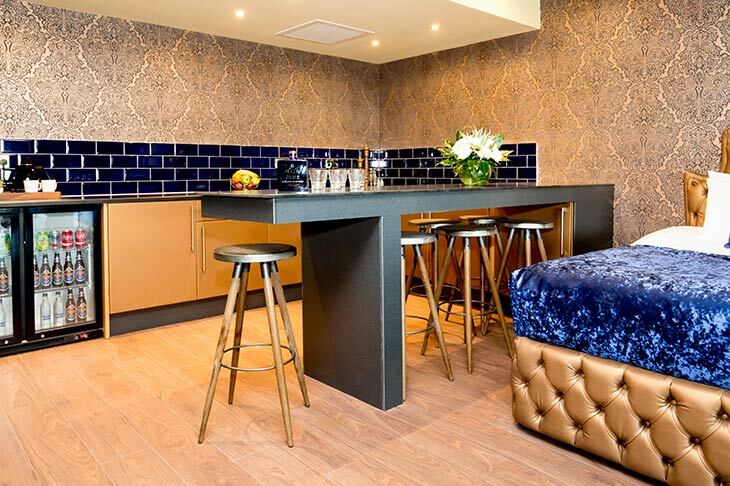 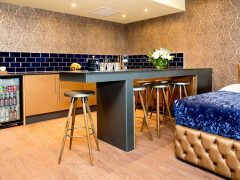 As the Haig suite is located in the heart of the city centre, getting to your perfect apartment couldn’t be easier.